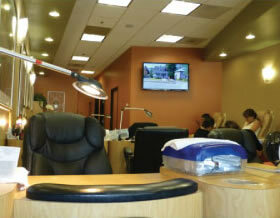 With two conveniently located nail salons in Temecula Valley, Great Nails should be your new favorite nail salon. Offering full nail care, waxing, manicures and pedicures, Great Nails salon provides every service you might want for a wonderful day of relaxation and pampering. Visit either of our two locations today! A Great Place for Nails! 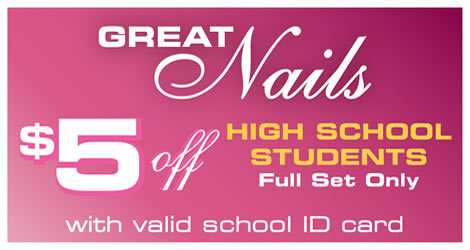 At Great Nails salon, the focus is on customer comfort and customer satisfaction. We treat all of our customers as if they were royalty, providing one-to-one service of the highest quality. 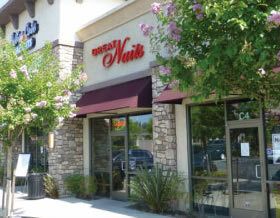 When you are ready to pamper yourself, visit Great Nails salon at either of our two locations in the Temecula Valley.